We know it’s been awhile since we last reached out with any updates. And we’re sure you've missed them. So here it is — if you were able to join the AMP movement, you can now audit AMP versions of your website’s pages in SEOquake. 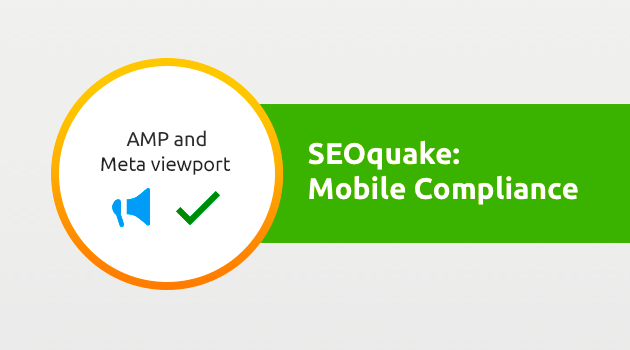 In order to keep up with Google’s recent project — Accelerated Mobile Pages — we are adding the option of checking important AMP-related issues into the SEOquake diagnosis section. 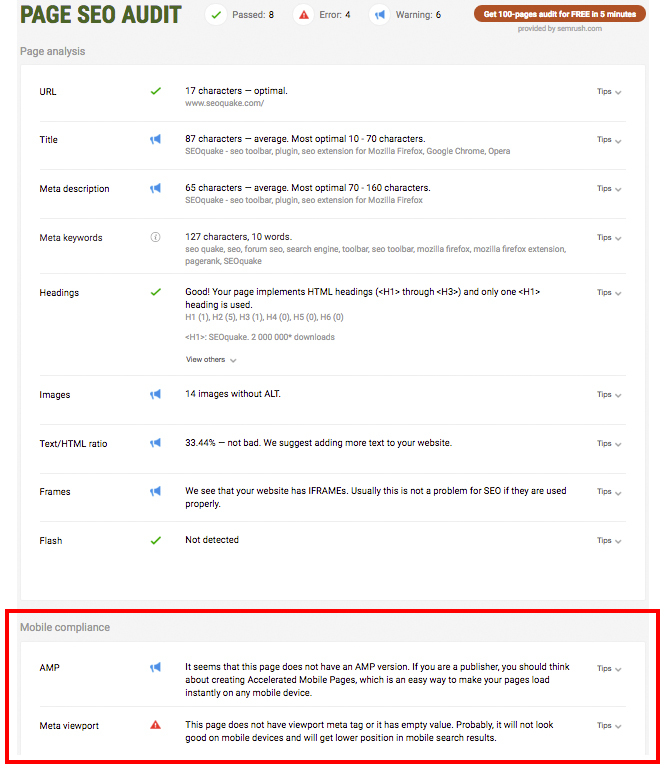 In pursuance of improving user experience, Google has recently been pretty pushy with content publishers about increasing their site speed. 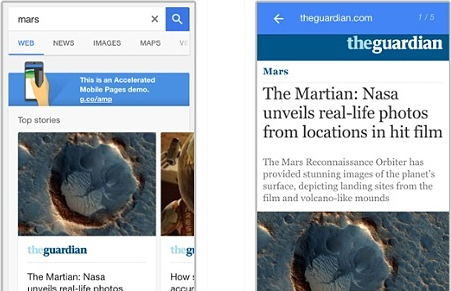 And the AMP update was meant to help users find what they’re looking for with no friction. Accelerated Mobile Pages are an excellent way to post static content that renders fast, with AMP HTML allowing you to build rich content beyond basic HTML. Also, consider how your content will be rendered when displayed on a mobile screen. For that, we’ve added the ‘Meta viewport’ diagnosis rule, which will let you know if you have an appropriate tag set. This rule allows a user to control a page’s viewport size and scale on any mobile device. Optimizing a website’s meta viewport tag is important, as it makes the website easily accessible and fully mobile-friendly. We hope this new feature improves your SEOquake experience! Please feel free to send your comments, suggestions and questions to [email protected].